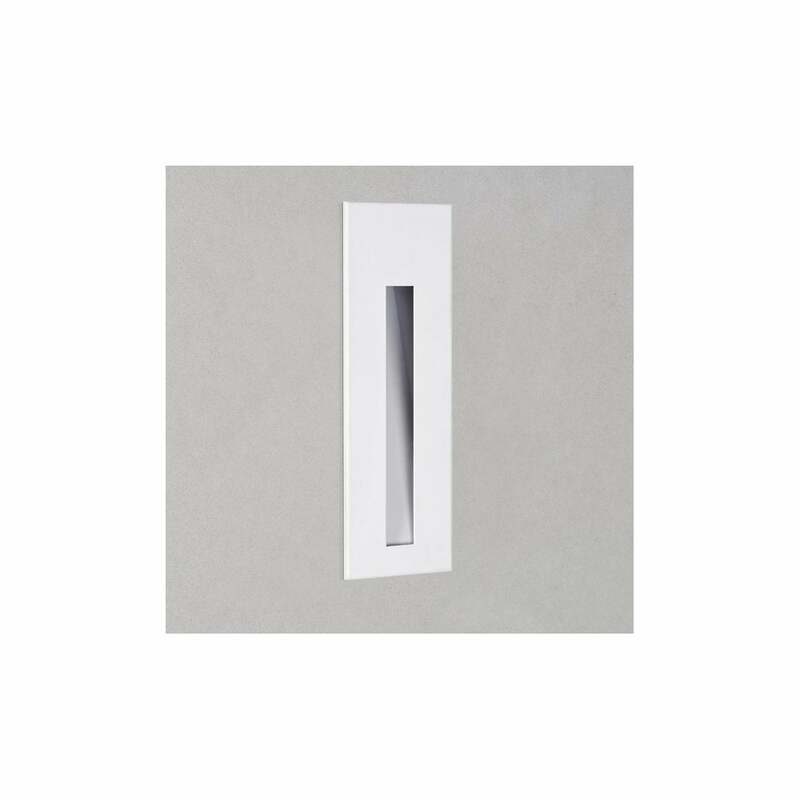 Astro Lighting Borgo 43 single light LED recessed wall fitting features a rectangular design fascia plate in white finish with acrylic light diffuser creating a pillar box style with a soft wash of LED light. The product code for this Astro Lighting wall fitting is 7482. A minimalistic design which is a perfect lighting solution for modern contemporary decors and provides an interesting lighting display when grouped together for hallways and stairways. The Borgo 43 range is also available in polished stainless steel or brushed stainless steel finish.